We pride ourselves on picking up your trash when we say we will, rain or shine. If you need extra services, we are just a phone call away. Waste disposal is something that we all unfortunately have to live with everyday. Sometimes your town’s garbage system just won’t take what you have to get rid of, or you’ve got too much for them to take. In this case, you would need a carting company Suffolk County. Our company services residential and commercial properties, taking whatever our clients leave us. Different people have different reasons for using a carting company Suffolk County. In recent economic times, many towns and cities are cutting back on the number of days they pick up the trash. This makes for problems with homeowners as their trash tends to pile up in front of their home, leaving them with unsightly piles, garbage pails with no place to put them, and the smell of sitting garbage that lingers for days. Rental properties and condominium facilities have also suffered with local garbage cuts. When trash sits it can become a prime target for rodents and pests, making the surrounding areas vulnerable to dangerous raccoon, rats, disease-carrying flies and vermin. Our carting company Suffolk County can arrange for pick up as many days as you need. We are experts in helping out both small and large businesses. If you own a restaurant, delicatessen, or any location that serves food, you know how important it is to have a carting company that will take your trash away on time. Where there is food, there are animals, especially mice and rats. Mice and rats will inevitably find the source of the food, which is right inside your establishment, causing unsanitary conditions and problems with the Board of Health. When you call our carting company Suffolk County, we make certain to remove garbage from our containers promptly and suggest a location on your lot that will be convenient for your employees to bring the trash to and not easily blocked by people’s cars. Our carting company Suffolk County can easily work out a schedule with you that works for your garbage load. When you first open a business or move into a new home, it can be difficult to anticipate what your waste removal needs will be. We completely understand. We’ll arrange a schedule for you and you can let us know if it’s working for you. 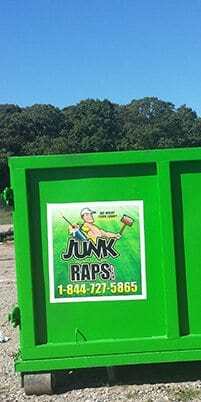 If you’re experiencing a season of more or less trash in your receptacle, no problem, just give us a call and we can arrange your schedule appropriately. If you’ve been suffering with another carting company and feel like you’re a prisoner to their rules, give us a call. After a conversation about your needs, we will suggest the appropriate container and pick-up schedule. When you start to see a pattern in garbage piling up, or not piling up at all, we can adjust your pick up schedule accordingly. Our service and pricing just can’t be beat!